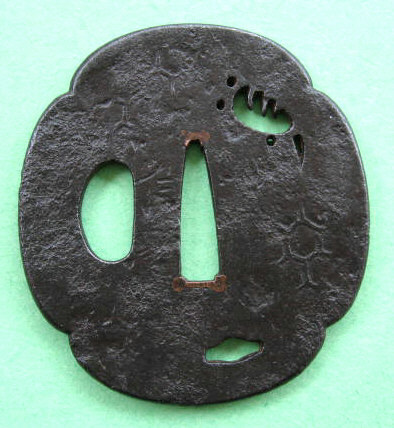 Tetsu-ji tsuba with strong patina of deep dark brown. 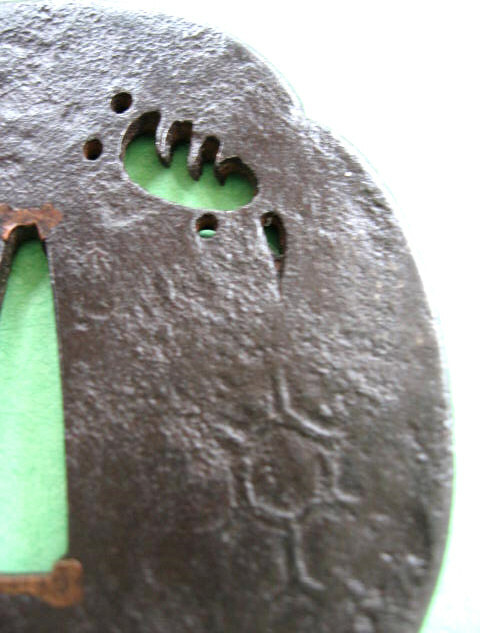 The ground iron is forged and tempered very well with kebori in the form of a dissolved kikko pattern (tortoise shell) showing on both sides. 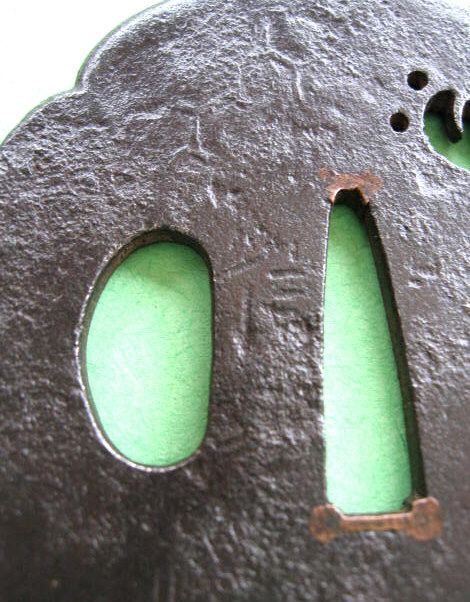 Ko-Sukashi is present in small animal form, the rim is maru-mimi with sekigane of copper. 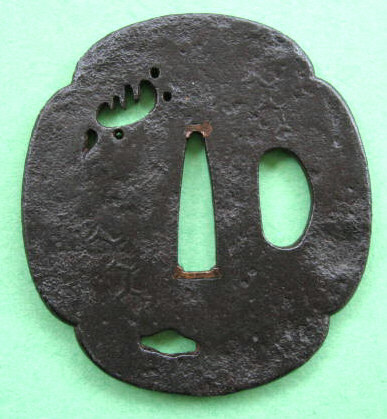 Original mokko-gata shape. It is safe to say that this is a true Nobuiye of a later generation. 7.2cm x 6.8cm x 0.5cm.